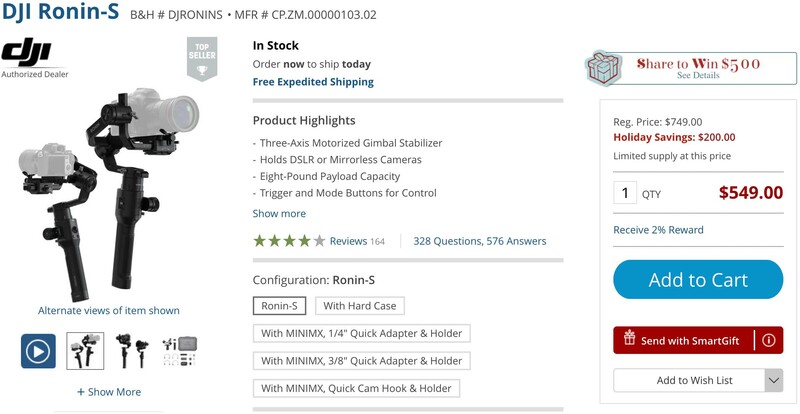 The Ronin-S is currently on sale at B&H Photo as a stand-alone and bundled package. If you’re a Fujifilm videographer than there arguably isn’t a better gimbal available at this price point today. The Fujifilm X-H1 is great, but IBIS can only do so much, so any serious videographer should have at least one gimbal in their kit. This entry was posted in Accessories and tagged Fuji Rumors, Fujifilm, Fujifilm Rumors, FujifilmRumors, Fujirumors, Ronin-S. Bookmark the permalink. Trackbacks are closed, but you can post a comment.